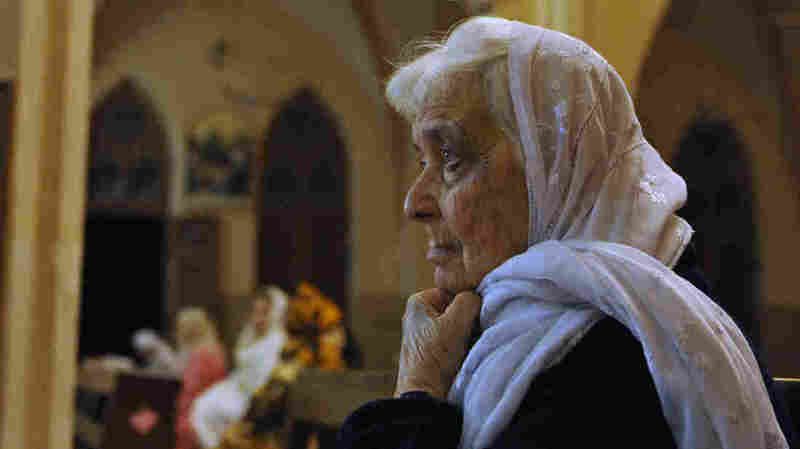 Ruth Pfau, Beacon For Pakistan's Leprosy Patients, Dies At 87 : The Two-Way The German-born nun and doctor stopped in Karachi more than five decades ago by accident. But she returned — and through her relentless efforts against leprosy, earned the admiration of the country. Ruth Pfau, seen here at St. Patrick's Cathedral in Karachi in 2010, led a charity fighting leprosy and blindness in the country for decades. The German-born nun and doctor had been sent by her Catholic order to India. But on her way, in 1960, visa hang-ups forced her to stop in the Pakistani city of Karachi — and that was where she encountered the leprosy patient whose plight persuaded her to stay. "He must have been my age, I was at this time not yet 30," Pfau told the BBC in 2010, "and he crawled on hands and feet into this dispensary, acting as if this was quite normal, as if someone has to crawl there through that slime and dirt on hands and feet, like a dog." Pfau, who died Thursday at the age of 87, soon returned to Karachi after her brief stint in India. And that is where she would stay until her death, committing more than five decades in Pakistan to the fight against leprosy, the nerve and skin disease now known as Hansen's disease. She "may have been born in Germany, but her heart was always in Pakistan," the country's prime minister, Shahid Khaqan Abbasi, said in a statement Thursday. "Dr Ruth came to Pakistan here at the dawn of a young nation, looking to make lives better for those afflicted by disease, and in doing so, found herself a home." For the debt Pakistan owes "to Ruth Pfau for her selflessness and unmatched services for eradication of leprosy," Abbasi announced that she would receive a state funeral. "She came to Pakistan 56 years ago and spent her life looking after the diseased and dispossessed," Sen. Sherry Rehman tweeted. "We owe u a debt of gratitude Dr Ruth Pfau." "May her soul rest in peace & may others follow her footsteps," Assemblyman Arif Alvi tweeted. In interviews before her death, Pfau said she was simply lucky to be able "to apply my capabilities, to do something." "I was never meant to just sit and watch. That is the worst," she told German newspaper Der Spiegel in 2015. And as Pfau told the BBC, she never forgot that young man she met on her first stay in Karachi, the patient who crawled toward her in the dirt because he'd been convinced there was nothing more for him than that. "The most important thing," she said, "is that we give them their dignity back." A previous version of this story incorrectly referred to Mother Teresa as Mother Theresa.